Device for handling rubber plates. 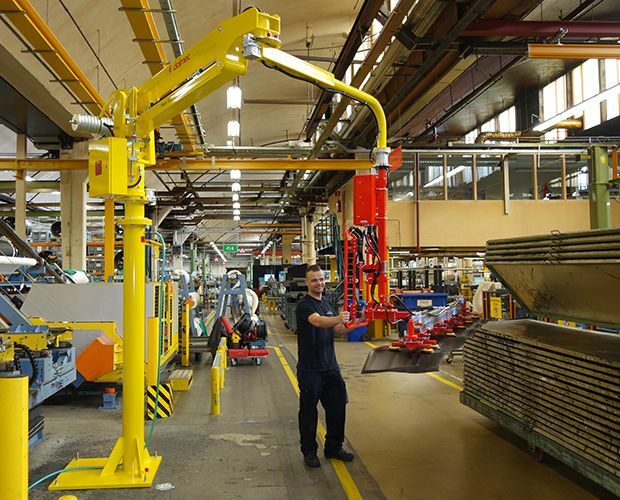 Dalmec suction cup gripping device for rubber sheets. Applied to Manipulator Partner Equo. 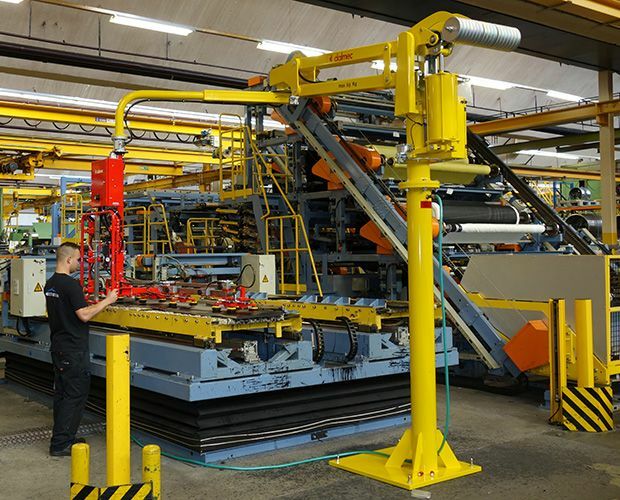 The gripping system consists of 12 suction cups adjustable both longitudinally and transversely and allows the handling of rubber sheets of different dimensions and weight. The vacuum is generated by a Venturi ejector.